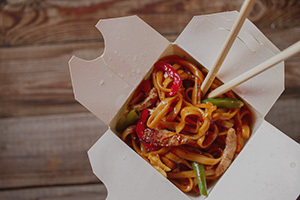 Using generations of experience, our talented, traditional master chefs work in harmony with our contemporary chefs to provide our customers with authentic, yet unique, Asian and Vietnamese dishes. 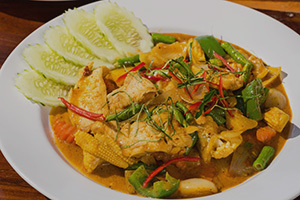 From our popular dishes to signature meals like Bambu Special Lobster, Spicy Crab, and Bambu Spicy Ribs, each dish is created to bring out the very best flavors, colors, and aromas for an authentic Asian taste. Our dining area offers our guests a comfortable, relaxing atmosphere, with modern decor. Utilizing vibrant colors, ambient lighting, and interior design choices, each element of our restaurant was designed to provide our guests with a completely unique dining experience, while complementing our elegant dishes. Whether you’re hosting a large family gathering or catering a business event, let our master chefs do the cooking for you. 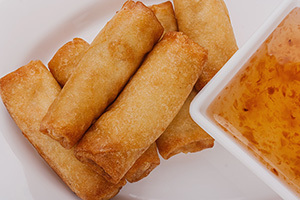 Many of our Asian and Vietnamese menu items are available for catering at your home or office.